The two biggest offseason signings have been worth every penny, that is if you consider $23 million/year a legitimate contract for a baseball superstar. CC Sabathia ($161MM/7-years) is on pace to win the team triple crown, as he is leading the Yankees in wins (15), ERA (3.56) and Ks (158). If he can duplicate his August in September, he immediately becomes a worthy Cy Young Award candidate. He has made every single one of his scheduled starts (I think), and has only left one start before the fifth inning as a precaution to a possible injury on June 21. Then there is Mark Teixeira ($180MM/8-years), who leads the Yankees in homers (32), RBIs (101) and SLG (.547). He has also been on an RBI tear since Aug. 19, totaling 15 in 10 games. He has only missed four games this year, and has completely solidified the first base position. 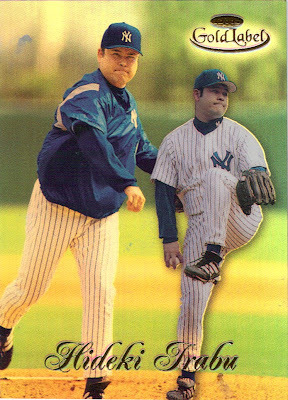 After dealing with a guy like Jason Giambi, Teixeira means a lot. Like I said in the beginning, both contracts involve an astronomical amount of money and I don’t think any athlete should make close to what they do. But I’d say both are doing the best they can to live up to their contracts. As for A.J. Burnett ($82.5MM/5-years), he hasn’t quite lived up to expectations. But a good September, and an even better October would erase any negative thoughts of him. John Perrotto of Baseball Prospectus posted an enticing segment about the Yankees plans for the future outfield dilemma in his latest weekly roundup (h/t RAB). Meanwhile, Damon reiterated his preference to stay in pinstripes to the NY Post. If Perrotto’s information is from a trustworthy Yankees source, it seems highly probable that Damon will be able to work something out with the Yankees. I’ve been saying it would be a good idea to keep Damon because of his love for the new Yankee Stadium. Plus, the top four in the lineup seem to mesh really well together, and I would hate to split that up after just one season. As for the other info from Perrotto, Jackson is having a decent year in Triple-A, just below my expectations. He is striking out way too much (118) for someone with only five homers on the season. A .294 BA is respectable, but not for a top prospect. I’ve been starting to lose some hope in A-Jax, but he is still only 22 years old. Perrotto mentioned Holliday and Bay as the possible free agents the Yankees will be after this offseason. I would choose Holliday because he has proven with the Cardinals he can hit in a ballpark besides Coors Field. Holliday would be the best No. 5 hitter in the majors if he and Damon signed. Remember, this is just speculation for the offseason. The Yankees still have a World Series to win this year! I’ve decided to add an additional section to my weekly posts. The pitcher who is named “Best in the Pen” is the pitcher who I think had the best week in the pen (no crap). Somehow it hit me that every reliever has their good weeks and their bad weeks, so I felt it would be a nice little update to have going into the next week. The stats used will always be grabbed from Monday through Sunday, and the post will always be here on Mondays at 10 a.m. (As will the Featured Yankee card of the Week at 8:30 a.m., and the weekly poll at 9 a.m.) Also, for all intensive purposes, I will be excluding the great Mariano Rivera from this honor, as he is not human and would probably deserve this honor each week. Finally, onto this week’s choice. Alfredo Aceves appeared in two games and didn’t allow a run. He only gave up two measly singles in yesterday’s three innings of relief for Joba Chamberlain against the White Sox. He also pitched a 1-2-3 ninth against Texas on Thursday. Note: I will keep a box on the left column devoted to the Best in the Pen. The picture will link back to the weekly post. The majority voted with the current rule of only home field during the postseason, but I still believe the home field advantage in the World Series should be decided based on record. If the AL and NL representative have the same record, then refer to head-to-head in the season and then refer to run differential. But that’s just me. Note: Sometimes I struggle to think of a good poll question for the week, so if you have any Yankees/MLB question you want answered, just shoot me an e-mail at lennysyankees@gmail.com. Vote in next week’s poll on the left pane: Do you like the new Joba plan? Remember when I wrote this article about how stupid it was to announce plans like these? Well, my point was proven after just one awful start from Joba Chamberlain. Forget the old Joba plan, he’ll start on five days rest for the rest of the season (still with limited innings). Maybe Joe Girardi will learn what to make public and what to keep private after this. I don’t have to say anything else. Robinson Cano’s three-run homer in the 10th inning led the Yankees (80-48) past the White Sox (64-65). The White Sox squeaked across two runs off CC Sabathia in the seventh inning to tie the game at 2. The only offense for the Yankees came on Derek Jeter’s leadoff homer in the first and Johnny Damon’s leadoff homer in the third. Sabathia struck out 10 in his effort to reach six wins in August, but the game was handed to the bullpen after the seventh. Phil Hughes, Mariano Rivera and Brian Bruney each contributed a perfect inning. Full box score here. I’m really happy for Cano, who rarely comes through with runners in scoring position. Mark Buehrle and Sabathia lived up to the hype, as both were rock-solid all night. Hughes: 1 IP, zeroes, 3 K. All three strikeouts were swinging. That’s nasty. Jose Contreras (5-12, 5.09) was finally announced as tonight’s starter, and he will face Sergio Mitre (2-1, 6.82). It appeared Joba Chamberlain was hurt by the eight days of rest between his last two starts. His control was a major issue once again (96 pitches, 55 strikes), and he got bombed. Joe Girardi announced Chamberlain as the scheduled starter for Sunday’s game before last night’s game. Last night: 4 IP, 9 H, 7 R, 7 ER, 3 BB, 5 K.
"We have him scheduled starting for the rest of the season," Girard said. "At times, he will go on extra rest." I would hope last night’s start would influence that decision to continue letting him pitch on extra days rest, but I guess he doesn’t have any other options. He can’t pitch him every five days until he reaches his limit and then bench him until his first start of the postseason. It’s a really tough situation right now. After ending July with three of the best starts of his career, Chamberlain has been on a dreadful streak in August. In four starts, he has allowed 19 earned runs, 27 hits, 15 walks in 20 innings pitched. Chamberlain needs to figure out what he was doing right in July and what he is doing wrong now because he could turn into a major problem for the Yankees down the stretch if he doesn’t start performing. What worries me is his only throwing 58.7 percent of his pitches for strikes in August. Throwing a lot of pitches in not a lot of innings is very bad for your arm, and that really makes me scared of his health. Chamberlain will face the White Sox on Sunday at 1:05 p.m. in the last game of the short homestand. I am sure he knows how important it is that he gets back on track come Sunday, and I am sure he wants to get back on track. After Chicago, he is in line to start one of four games at Toronto. The Yankees (78-47) rallied for four runs in the ninth, but fell one short to the Rangers (70-54) in a 10-9 loss. The Yanks had the tying run on second base with no out in the ninth for Nick Swisher, after already rallying for four runs in the ninth. Swisher proceeded to pop up a sacrifice bunt attempt to third base, and then Melky Cabrera lined out to shortstop Elvis Andrus, who doubled up a leaning Jerry Hairston Jr. at second base. Game over. This was a back-and-forth game all night, starting with a four-run lead after the first inning, and being down as many as five in the ninth. Jorge Posada and Robinson Cano both homered and had three RBI each. Joba Chamberlain took the loss after allowing seven runs in four innings. Full box score here. What a heartbreaker. Then again, the Yankees didn’t deserve to win. Nine of the Rangers’ runs came after the first two batters of the inning were retired. That is downright awful, and is becoming a nagging problem for the Yanks in the past week. Much will be made over Joe Girardi’s decision to bunt Swisher in the ninth. "He's been a good bunter all year, and I was trying to get the runners over,” Girardi said afterward. Same story as usual for me. If Swisher lays down that bunt and Melky wins the game with a single, Girardi looks like a hero. Unfortunately, the worst possible scenario occurred, and Girardi looks like an idiot. Derek Jeter: 2-for-3, 2 BB, 2B. On base four of five times. Is he human? The Yanks look to even the series Wednesday night with Andy Pettitte (10-6, 4.25) on the hill. He will face Derek Holland (7-7, 4.72). Jon Heyman is reporting the Yankees will be looking to re-sign LF/DH Johnny Damon after the season to a one-year deal, possibly two. The Yankees intend to try to bring back Johnny Damon, probably for about $6-8 million a year (that'll be the first offer, anyway), and might be willing to give him a second year. Damon's been saying in the papers all year that he wants to be back, which is quite a departure from the usual free-agent script and could mean he's that rare player amenable to a below-market contract. Yankees management loves Damon personally, too, and that doesn't hurt. This is very pleasing news to me. It’s really delightful to hear a player so eager to re-sign with a team. Now, the Yankees have finally responded with mutual feelings. The Yankees are usually a team that likes to deal with contracts in the offseason, so don’t expect a re-signing anytime soon. Hope your off-day is going well. Since there is no game tonight, I thought I’d take a look at the other contracts expiring after this season. Here’s a list of players who’s contracts expire or have an option for the 2010 season. Hideki Matsui hit his third and fourth homers in the last three days, as the Yankees (78-46) took the series with a 8-4 win over the Red Sox (70-53). CC Sabathia earned his major league leading 15th win over fourteen-game-winner Josh Beckett. The Yankees scored one or more runs in each of the first five innings off Beckett, but he remained in the game for eight innings. Six of his eight earned runs came on long balls, including solo homers from Derek Jeter, Robinson Cano and Matsui (2). Alex Rodriguez’s two-run homer in the fifth provided key insurance runs for Sabathia. Sabathia, plagued by a high pitch count early on, only could record two outs in the seventh before Phil Hughes finally got his turn. Hughes didn’t have great control, but easily rolled through the top of the Red Sox’ order. Mariano Rivera got some much-needed work in the ninth and was typical Mo. Full box score here. The series win shuts up all Red Sox fans who thought the Red Sox were the Yankees’ weakness this season. After losing the first eight, the Yankees have fought back to a 6-9 record with three more left to play in September. Sabathia has quietly won his last five starts and is now the major league leader. He will have a chance to go 6-0 in August when he pitches against the White Sox this weekend. A-Rod: 1-for-4, R, HR, 3 RBI, K. His only three homers in August have come against the Red Sox. 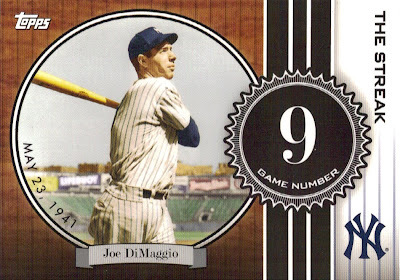 He would have had two more this past Friday if the game were played in the Bronx. The Yanks finished the road trip 7-3, and head back to New York for six games against the playoff contending Rangers and White Sox. Series previews to be posted later on. But first, the Yanks will enjoy an off-day Monday. The Yankees (77-45) posted 23 hits against the Red Sox (69-52) for a 20-11 victory. The win ends a seven-game skid at Fenway Park this season for the Yankees. A four-run second, six-run fifth and four-run ninth marked the major outbursts for the Yankees tonight. Every spot in the lineup had at least one RBI, but Hideki Matsui led everyone with seven RBIs backed by two three-run homers. The scary thing is, he was only a couple feet shy of a third homer and left six men on base. Alex Rodriguez and Melky Cabrera both notched four hits and Derek Jeter and Mark Teixeira tagged three base knocks. This was an all-around team effort offensively. The pitching wasn’t so pretty for either team, despite Andy Pettitte only surrendering one hit over the first four innings. He ran into some trouble in the fifth inning, and then some tough luck and ugly defense wrecked what would have been a nice start. Either way, he finally got his run support, and finally got his 10th win. Full box score here. If you switched away from the game while the Red Sox were hitting, it was probably the most enjoyable game to watch of the season. But if you had to endure watching Sergio “Meat-tray” Mitre stumble through the finish line, you might not be as satisfied. The only negative of the entire night: Johnny Damon had to leave the game after fouling off a pitch on his knee. The beats are saying it is a “bruised knee” and he did not have to take x-rays or an MRI. Damaso Marte: 2/3 IP, zeroes, K. He was of three pitchers in the game who didn’t allow a run. He got out of a nice jam Brian Bruney left him in the seventh. The Yankees will look to extend their win streak to six against the Red Sox on Saturday’s Fox showdown. A.J. Burnett (10-6, 3.69) will face Junichi Tazawa (1-2, 5.40). Ken Davidoff is reporting through twitter that the rehabbing Damaso Marte is finally ready to rejoin the Yankees’ bullpen. Instead of demoting a pitcher, the Yankees will use 13 pitchers and send down *backup* utility infielder Ramiro Pena. I used the asterisks to emphasize the unimportance of Pena to this team right now. So yes, the Yankees finally made a move that I agree with. Pena is a solid defender and provides some speed off the bench, but he isn’t as versatile or as good as Jerry Hairston Jr. I like having a surplus of pitchers too because the new Joba rules suggested that the Yankees would have to use more pitchers. As for Marte’s helpfulness to the club, that is to be determined. He pitched well in Scranton in 11 appearances: 11 innings, 10 hits, 3 R, 3 ER, 4 BB, 9 K. That is a little too many base runners for my liking, but at least he is escaping the jams. Time will tell if he can keep that pace up in the majors. I hope Joe Girardi works him up from low leverage to high leverage appearances, as he is most definitely not a trusted reliever right now. So why is he up, you might ask. He is being paid $4 million a season for the next three years. It would be a waste to see him in the minors. If he is fully healthy and can perform at a moderate level in the majors, he’s better than nothing. It’s that time of the month again. It’s Yankees vs. Red Sox at Fenway for a weekend set, concluding with the always dramatic ESPN Sunday night game. The Red Sox (69-51) blew their perfect record against the Yanks in their last meeting two weeks ago. The Yankees (76-45) quickly transformed an embarrassing season against their rivals to a respectable 8-4 record after sweeping the Sox in what I called Boston Massacre III. However, last time it wasn’t in Boston. Now it is. As you will see in the pitching matchups, the Yankees — once again — have their rotation lined up perfectly, while the Red Sox will have to do without Jon Lester. The Red Sox nailed down the first eight against their rivals, but the Yanks took the last four. After this series, the Yanks wrap up the rivalry in the Bronx at the end of September for three final games. The only way the Yankees can win the season series is if they go undefeated. Winning five out of six earns them a tie. Pettitte has been the best starter for the Yanks since the All-Star break in terms of ERA and WHIP, but only has a 1-1 record to show for it. Penny is winless since July 24, and sits between five and six innings in the majority of his starts this season. Saturday’s Fox game is tough to analyze. The Yankees have played terribly while airing on Fox this year (and in the past), but Tazawa shouldn’t cause any problems for their offense. Remember, Alex Rodriguez’s walk-off homer in the 15th inning came off Tazawa. Sunday night’s game should be a gem. Sabathia and Beckett are tied for the major league lead in wins, and both have been pitching brilliantly as of late. This might be the most exciting game of the year for me because I always love a great pitchers’ duel. Frankly, the Yankees just have to avoid being swept to secure their AL East crown. A huge advantage in the first two games leads me to believe that this will be a good weekend at Fenway. However, an 0-6 record in Boston is quite daunting heading into the series. I wouldn’t mind losing two out of three as long as Sabathia outduels Beckett. Otherwise, I’m hoping for a sweep. The Major League leading home run team — along with every other team — has three nominations for the Hank Aaron Award. Robinson Cano, Derek Jeter and Mark Teixeira have been nominated from the Yankees. Just for laughs, the Mets are a different story. After looking at what the Mets have to offer, it makes you feel kind of proud to have those three nominated for the Yanks, doesn’t it? The Hank Aaron Award, presented by Sharp, is presented annually to the best overall offensive performer in each league, with each club having three nominees. This is the seventh consecutive year that fans have had a voice in selecting the award winners. So who will it be out of Yankee camp? All the homers make me want to go with Teixeira, but Jeter is having another one of those years. I think I’ll vote for Jete, just because he’s homegrown (and my favorite player). Four hits, two walks, a hit batsmen and a sac fly led to five runs in the sixth inning for the Yankees (75-45) to beak the tie and eventually go onto win 7-2 over the Athletics (53-66). Derek Jeter, Johnny Damon, Alex Rodriguez, Hideki Matsui and Jorge Posada picked up one RBI in the deciding sixth inning. Robinson Cano started, and ended the inning. Posada picked up a second RBI in the third inning on a ground-rule double, and Melky Cabrera scored the first run for the Yanks on one of the Athletics’ four errors. CC Sabathia allowed solo shots in the first two innings, but only allowed two singles for the rest of the game. He was yanked after eight innings (94 pitches), so David Robertson could get some work in, I guess. Robertson pitched the ninth just as expected: two walks (on eight pitches), and two strikeouts. Full box score here. For CC, it was a nice time to put on a show, as he is from Vallejo, Calif. His friends and family were in attendance, who probably were just as mad as I was that he didn’t finish the game. Robertson was the only reliever used in the past two games. The bullpen gets another off-day on Thursday before the Red Sox series. Jeter: 3-for-5, R, RBI. His third consecutive three-hit game. He will continue to be listed here as long as this streak continues. The Yanks will send out Chad Gaudin (5-10, 5.13) to try for their fifth straight series win. Brett Anderson (7-8, 4.55) will try and prevent that from happening. Does that headline make sense to you? I don’t think so either. These words belong to the highly-trustworthy reporter, Ken Rosenthal. It may be just me, but I think if the Yankees are “pursuing” a starter, then they will get a starter. I don’t see how the Reds expect to deal Harang or Arroyo if they won’t pay any portion of their contracts. I still hope and believe the Yankees will make a move for a pitcher, but now it seems their options are dwindling. Speaking of starters, if you didn’t hear, Stephen Strasburg signed with the Nationals last night just before the deadline. He accepted a little over $15 million, instead of the $25 million he and agent Scott Boras were expecting. Talk about revenge. The Yankees released Brett Tomko on July 29, but really never gave him many chances to prove himself. So Tomko finds a perfect nesting spot in Oakland where he can eat innings and try to earn another contract for 2010. Last night’s shutout performance led his A’s (53-65) past the Yankees (74-45) to a 3-0 victory. Yanks hurler A.J. Burnett melted down in the fourth inning, allowing the A’s to break the scoreless drought and put a three spot on the scoreboard. One run even scored on a balk, but he would have scored anyway after Mark Ellis’ double. Three runs scored in the frame, and that was it for the game. Tomko lasted five innings, but the bullpen was lights out for the A’s. Burnett pitched all eight innings, so at least in a loss the pen was saved. Full box score here. This is one of those games that you have to top your cap to a player with a lot of heart. Tomko handled his former team last night, and also handled the media in a first class manner. Derek Jeter: 3-for-4. He is red hot: Eight for his last 12, and 17 for his last 31. He’s up to .327 on the year. The Yankees will look to even the series tonight against Vin Mazzaro (4-8, 5.54) with CC Sabathia (13-7, 3.64) on the hill. The Yankees (74-44) enter this series with Oakland 7.5 games up in the East, while the Athletics (52-65) are well out of the playoff race. The Yanks swiped the first four games of the season series, and are 5-1 overall. These three games will be the last of the season, so the Yanks have already clinched the season series victory. Note: Tomko, who was on the Yankees a month ago, pitches against the Yanks tonight. Gaudin, a former starter for the A’s, pitches for the Yanks in the finale. As Tyler Kepner pointed out, the A’s and Yanks have a little history of sharing players. The Yankees are the best team in baseball right now, and it’s hard to see them losing a series to a last place team. However, the Yankees have a very unfavorable matchup on Wednesday. I’d be willing to sacrifice it for a sweep of the Red Sox afterward. Mariano Rivera has one official at bat and Nick Swisher has pitched one inning this season. Swisher tossed a scoreless inning in a blowout loss to the Rays, and Rivera walked in a run in his only other plate appearance in the same game he earned his 500th save. Hence, Rivera leads the team in on-base percentage (.500), and Swisher leads the team in ERA (0.00). If I were drafting a wiffleball team, I would take Rivera first because he’s a freak of nature, and then Swisher second (just for the laughs). No news here, just random thoughts before another late game (10:10 p.m.). Two first-inning runs for the Mariners (60-56) was their only spot on the scoreboard against Andy Pettitte. The Yankees (73-43) tied it up in the fifth, and then won it in the ninth on Mark Teixeira’s leadoff jack for a 4-2 win. Pettitte allowed three straight hits in the first inning, and struggled to get the top three hitters out again in the third. However, he battled, as usual, and ended up with a season-high 10 strikeouts over six innings. The Yankees worked a run in the second on Jerry Hairston Jr.’s groundout, and then the Yankees tied it in the fifth on Derek Jeter’s single. Teixeira finally broke the tie in Mark Lowe’s second inning of work in the ninth. Nick Swisher added an RBI single for good measure, but Mariano Rivera didn’t need the insurance, as he did his thing in the ninth. Full box score here. I thought this was headed for extras, but Tex decided to hammer in the nail on his MVP candidacy. It was his 30th homer of the year, only trailing Carlos Pena by one for the league lead. Nice to see Pettitte racking up the Ks. He, along with most of the staff, has been dealing since the break. Hairston: 1-for-4, RBI. He is batting a cool .364 for the Yanks with five runs and six RBI. Not bad for a utility man. Not at all. The Yankees can win another series with a win Saturday night. Sergio Mitre (1-1, 7.04) will face Luke French (2-2, 4.31). It’s a late start for the Yankees tonight in Seattle, so here are a few posts that are definitely worth taking a look at in the mean time. A Q&A with Yogi Berra: Is there a better interviewee in baseball? Ten questions with the great Yogi. Music played at Yankee Stadium: Find out what songs Yankee players use to enter the game or before an at bat. The Michael Kay drinking game: If you watch the games on Yes, you should get a great kick out of this game. Derek Jeter and Alex Rodriguez are expected out of the starting lineup tonight after both were hit by a pitch in yesterday’s walk-off win. Mariano Rivera flew to Seattle in a later flight than the rest of the team, but no word yet on his availability tonight. 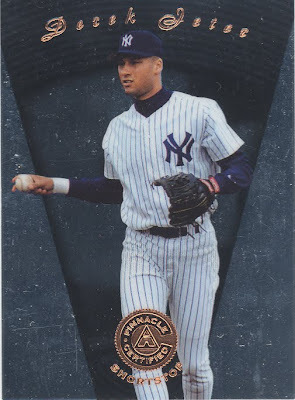 Check out this neat post over at The Yankee Universe about Mo. Interesting stuff. Update 7:37 p.m.: Jeter in, A-Rod out. Full lineup here. The Yankees (71-43) open their 10-game road trip with seven on the west coast, starting with the Mariners (60-54) tonight and ending with the Red Sox. The Yankees took two of three from Seattle in the Bronx in late June/early July. After this four-game series, the Yankees visit the Mariners once again in mid-September. The only loss to the M’s this season has come at the hands of tonight’s starter, Sabathia. Sabathia has won four of his last five, but still hasn’t found that dominant level he was at last season. Pettitte has been the man lately, but the Yankees never give him any support. Rowland-Smith has been good this season, but only in five starts. Mitre may have had his best start for the Yankees last time, but it still wasn’t great. French was the guy on the Tigers traded for Jarrod Washburn, so it’s apparent the Mariners really like this guy. Gaudin, not Joba Chamberlain, gets the nod on Sunday. Fister pitched six shutout innings against the White Sox in his last start, but with no run support, there can be no win. This series is a part of a tough stretch, but the Yankees are the best team in baseball. It has really been a pleasure following them this year. The Yanks should be able to win the series, even without Joba on Sunday. 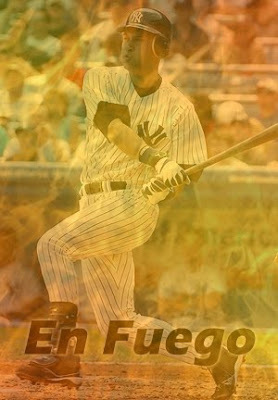 Cano is hot, hot, hot! You cannot get much hotter than Robinson Cano right now (as evidenced by the above picture). He is riding a 10-game hitting streak with eight multi-hit games to a tune of a .432 batting average. Cano’s hot hitting has come just as scheduled. He is a career .329 hitter in the second half, and always seems to live up to expectations. This season, he is exceeding expectations. Is an innings limit right for Joba? Joba Chamberlain is missing his start this Sunday because he is approaching his innings limit (estimated at 150 innings). He is at 121-2/3 right now, leaving him close to five starts until the limit is exceeded. I’ve always been skeptical of his limit because it was never set in stone publicly, and we don’t know whether it applies to the postseason or not. If it does apply, the Yankees have Sergio Mitre or Chad Gaudin starting the fourth game of the series. Let’s pray it does NOT apply. I don’t like the idea of an innings limit either. What happens if the Yankees break the limit because the playoffs are on the line? Then everyone scrutinizes the Yankees for not keeping their word. Also, the purpose of an innings limit would be to “save” a pitcher’s arm. But does it? Stopping a pitcher after 85 pitches in a start could actually hurt a pitcher because then his arm may get used to maxing out at 85, which would be terrible for a career. If the Yankees continue having Joba skip starts, it will make it even tougher than before for him to find a rhythm. I don’t see the positive in this decision, and am not excited about Joba missing more starts.